Our MISTER OCEAN awards are for the men who do the most in any one year for ocean conservation. We also operate Ocean Awareness events, to communicate to the pubic the urgency of taking the plastic pollution problem seriously. In association with Miss Ocean and the Cleaner Ocean Foundation we aim to tour the UK with our Ocean Ambassadors to help draw attention to the plight of marine animals around our coasts that eat plastic, also focusing on potential future fish shortages that could lead to food insecurity in the not too distant future - if we do nothing about it today. We hope that by raising awareness, that more people and governments will take on board the dangers of Marine Litter, if we do not effectively recycle human waste, that at the moment is being poured into the oceans at the rate of 8 million tons a year creating giant swirling masses of plastic particles called gyres. Our Mister Ocean drive is not stand-alone, but is run in tandem with our MISS OCEAN awards, providing opportunities for men and women to work together in a world where equality is an international theme. There will be a free 2D game download for Android and iOS mobile phones. Our goal is to encourage young people to care more about the natural world and sustainable use of our resources. - Dive into our ocean and help us to spread the news about toxic Plastic waste and the circular economy. MAKING HEADWAY - Our ocean awareness wagon is nearing completion, with painting and trimming on the cards for early 2018. This VW eco-bus has undergone extensive surgery to get her back into tour condition - as you can see - this restoration was not for the feint hearted. Copyright © photographs April & November 2017, all rights reserved. 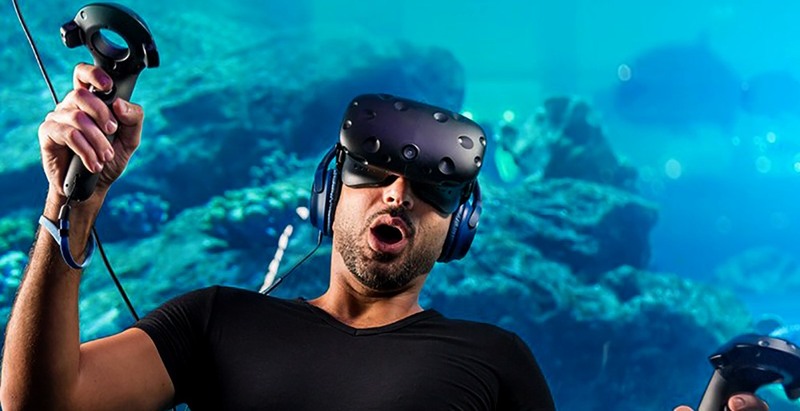 With virtual reality you can enjoy a field trip under the sea without ever leaving the lecture hall or classroom - or putting on a wet suit. Teachers can also show things about animals and biology that you cannot convey on paper or using pictures, by taking students of all ages to those places that you cannot go to safely in real life, in virtual settings that are interactive and comfortable - even if the virtual world gets the heart pounding at times. SINGLE USE PLASTICS - If you have a family to feed your weekly shop is likely to exceed this quantity of plastic bottle caps. About half this quantity is regularly found in the stomachs of dead seabirds. We live in a plastic society and a plastic age - where we could not do without the advantages that plastic offers - that is a good thing for mankind. What is not so good is exploiting our skills in a way that harms other life on this amazing planet, and will eventually come back to haunt us as reduced food capacity and maybe even diseases. Copyright photograph © 22-7-17 Cleaner Ocean Foundation Ltd, all rights reserved. Solar Studios, BN271RF, United Kingdom. The name Miss Ocean™ is a trade mark of the Cleaner Oceans Club™.